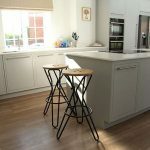 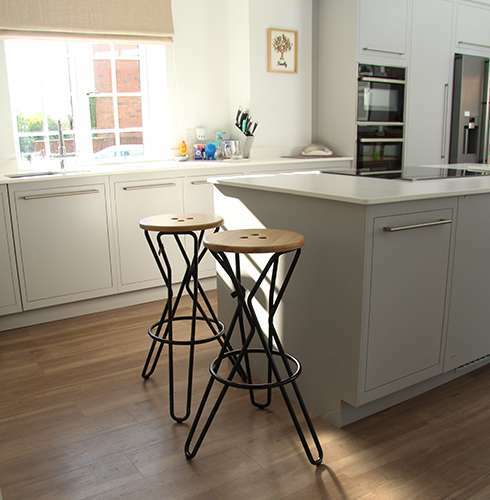 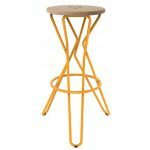 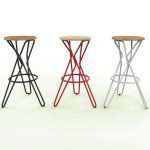 The bigger brother to the Olly Stool, the bar stool utilises the same ‘twist’ frame style to great effect. 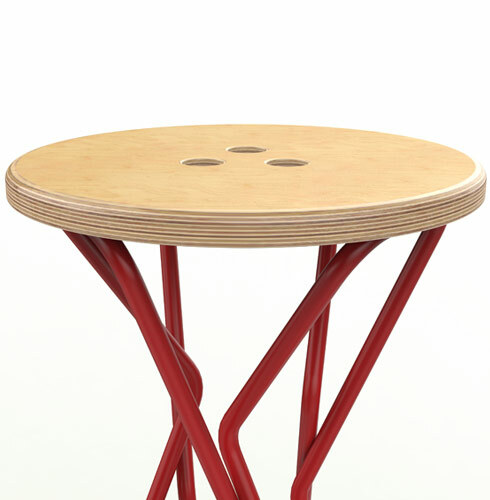 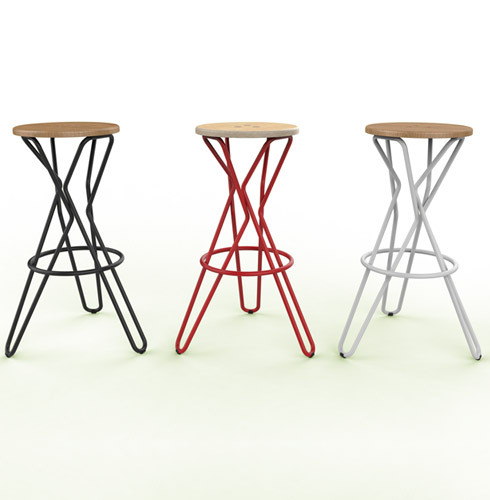 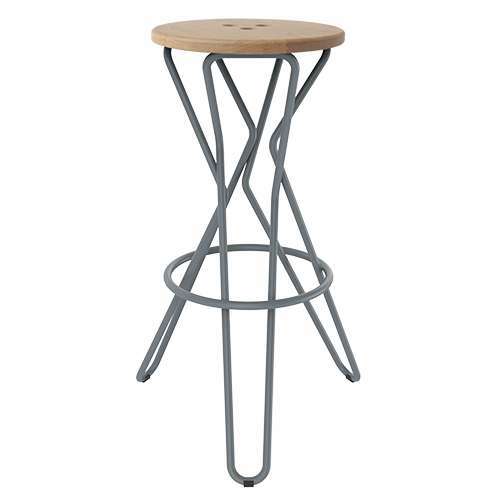 Three identical steel legs are intelligently welded together to appear self-supporting. 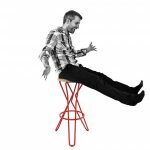 Each leg is formed in two halves and joined with a high quality seamless weld to create a continuous closed loop structure. 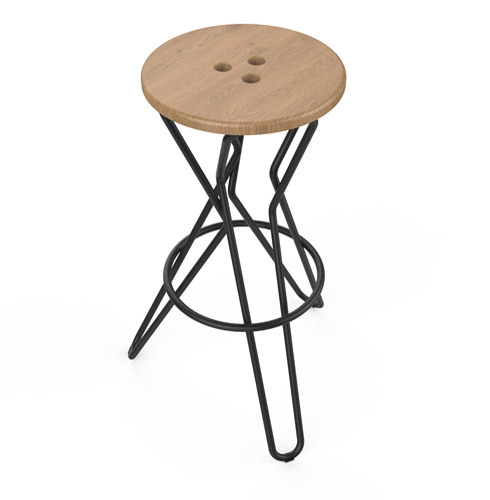 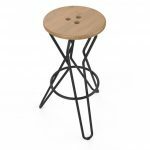 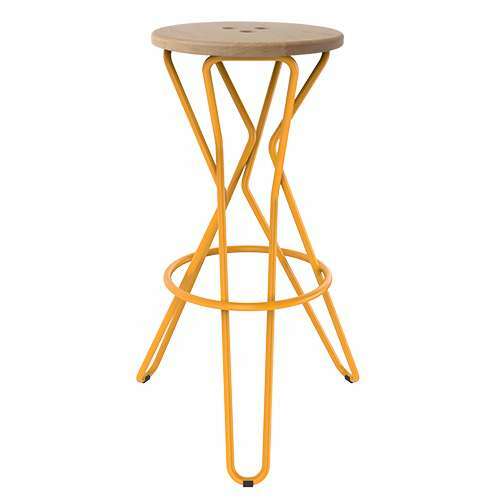 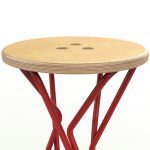 The bar stool top features three bowling ball style finger holes for ease of positioning and carrying.